At Alan Rance Surveyors, our services are truly the best value for money. With over 30 years experience and exceptional knowlege of the local area including Dunstable, Leighton Buzzard, St Albans and Tring you can rest assured you'll be fully informed about the condition of your property. Find out why so many clients come back to us every time they move and why so many solicitors and agents recommend us by getting in touch today for your free quote. Alan Rance is an experienced building surveyor, with an established reputation throughout Buckinghamshire, Bedfordshire and Hertfordshire. 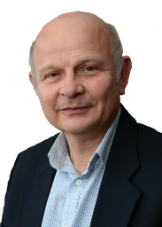 With over 30 years of carrying out professional assessments, Alan has worked with private residences, commercial property, listed buildings, industrial facilities and retail premises all around Dunstable, Leighton Buzzard, St Albans and Tring. The team delivers straightforward, jargon-free Building Surveys, Home Condition Surveys and EPCs for a range of clients, including private individuals, large and small companies and Local Authorities. At Alan Rance, we guarantee that every client receives exceptional service and the best value for money surveys. Our Building Surveys are conducted by a specialist SAVA-certified surveyor who is regularly audited to ensure consistent, high-quality reports and EPCs are produced by trained Domestic Energy Assessors (DEAs), and according to the Elmhurst Energy standard. In addition to professional certifications, every report is covered by the assurance of Professional Indemnity and Public Liability Insurance. WHY GET A BUILDING SURVEY OR A HOME CONDITION SURVEY? In a report from the Royal Institution of Chartered Surveyors, it was shown that 80% of buyers do not arrange any kind of survey of a property before they commit to purchasing it. In some cases, this is due to mistakenly thinking that the mortgage valuation is a kind of condition report, while others simply misunderstand the value of having a professional assess the structure for defects. In either circumstance, without a survey, buyers risk taking ownership of a building which is riddled with hidden defects that are expensive and time-consuming to rectify. Investing in a professional Building Survey will avoid unpleasant surprises further down the line, and will often give buyers a stronger position when negotiating with the property sellers. It’s not uncommon for our customers to negotiate significant sums off of the asking price, or have the seller fix a costly structural issue before signing contracts. We also have customers thanking us for the reassurance when a report comes back all clear, so the value of a Building Survey or Home Condition Survey should not be underestimated. Our reports offer an easy to understand assessment of a property’s condition, raising any structural or legal concerns that you, the buyer, should be aware of prior to sale. We ensure our service is cost-effective, and report in the most efficient way to make sure you can make informed decisions and proceed with your purchase without undue delay. We instructed Alan to carry out a home condition survey on our first time purchase. Alan provided us with a detailed and easy to interpret report, which helped us identify any issues with the property and ensure that our vendors rectified any potentially serious problems. With no experience of the property purchase process, we found it reassuring that Alan was conducting the survey as he was able to answer any questions that we had and provide sensible advice on the property. We would not hesitate to recommend Alan to any home buyers. I found Alan Rance’s work to be of a very high standard. The survey report provided was comprehensive, fairly priced, and delivered extremely quickly. I have no hesitation in recommending Alan’s services. I have been surveying property for over 30 years, and enjoy using my expertise and local knowledge to help buyers find their perfect property in and around my own home town of Dunstable. I am exceptionally proud to have surveyed a huge range of properties, providing me with a wealth of property experience, including listed properties, commercial sites and industrial premises across Milton Keynes, Aylesbury, Leighton Buzzard and St Albans. If you are looking for a reliable and easy-to-follow property survey at a very competitive price, please call me today on 01525 220786 to get a free quote. At Alan Rance Surveyors, we provide all of our professional services at a highly competitive price. If you require a survey or EPC in Leighton Buzzard, St Albans, Dunstable, Tring or anywhere else in Buckinghamshire, Hertfordshire and Bedfordshire, please contact us by calling 01525 220786, sending an email to alan@building-surveyors.co or completing the form below.